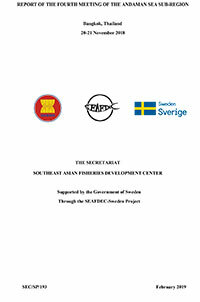 The Annual Review Meeting of the SEAFDEC-Sweden Collaborative Project was convened at the SEAFDEC Secretariat Office in Bangkok, Thailand on 28 April 2015, where the progress of implementation of the Project’s activities during its second year of implementation was presented to the Embassy of Sweden based in Bangkok. 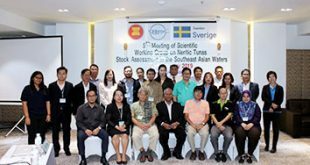 The Review Meeting was attended by Mr. Göran Haag of the Embassy of Sweden in Bangkok, Mr. Peter Fundgård from the Swedish Agency for Marine and Water Management (SwAM), and SEAFDEC officers led by SEAFDEC Secretary-General Dr. Chumnarn Pongsri. 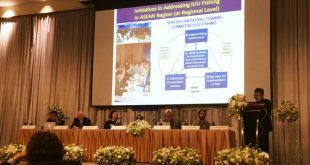 Members of the Regional Fisheries Policy Network (RFPN) based at the SEAFDEC Secretariat Office in Bangkok also attended the Meeting. 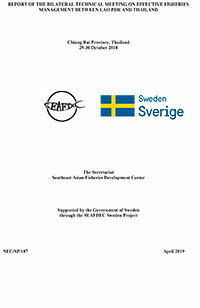 The Annual Review Meeting highlighted on the achievements of the Collaborative Project in 2014 and provided information on the activities for the succeeding year. 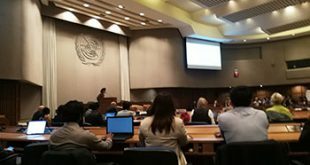 During the Meeting, valuable feedback and recommendations were provided by the representative from the Embassy of Sweden in Bangkok and also from the representative for SwAM. 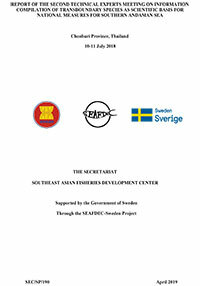 The cooperation agreement between SEAFDEC and the Government of Sweden on “Fisheries and Habitat Management, Climate Change and Social Well-being in Southeast Asia”, which now enters into its third year, aims to promote the responsible utilization of marine resources, social well-being, and address the issues related to fisheries management in the region. 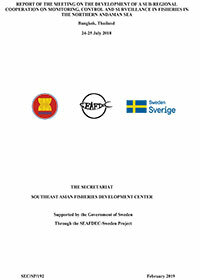 The Project’s focus areas cover the countries bordering the Andaman Sea, Gulf of Thailand, Sulu-Sulawesi Seas and the Mekong River Basin. 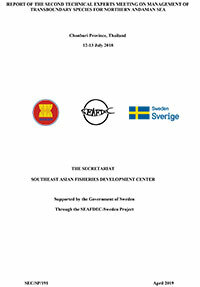 Through sub-regional approach, the Project works to support the SEAFDEC Member Countries at various levels, from governments to local communities for the development of sustainable fisheries management schemes by improving the fisheries management skills and capacities of government agencies and as well as those of the rural and coastal fishing communities.